See what’s new for your new build or renovation. From kitchens, bathroom products, interiors, outdoor, energy saving products and more! A cooktop and rangehood in one appliance. 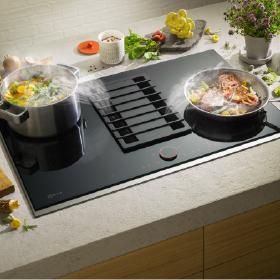 The FlexInduction cooktop with downdraft ventilation is every bit a cooktop, with all the features that make it a NEFF. But do you see that thing in the middle? That’s ventilation, for getting rid of steam and smells before they spread around the kitchen. The EK Series wood fire is available in three sizes and comes equipped with everything you need to achieve a smoky meat lover’s feast - an Ember Generator, 13-point adjustable cooking plates, grills and meat hooks. Once the flame cooking is done, it all hides underneath a stainless steel draw. SQUID® is an innovative and stylish way to dress your uniquely shaped window. It's a lightweight textile that doesn't require any fixtures or fittings, so you can install it yourself on uniquely shaped windows. The self-adhesive and transparent textile is amazingly private and a powerful reflector of heat. 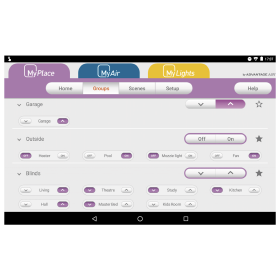 Control your place with MyPlace. The MyPlace home hub makes smart home technology simple, by giving you remote control from one easy-to-use integrated system. This gives you peace of mind when you're away from home and comfort while you're there. Exclusive to Trevors Carpets, Karndean is the worlds leading, luxury, and design flooring company. 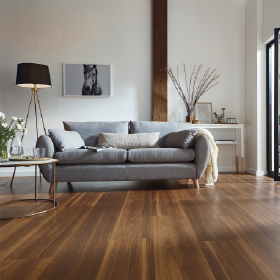 This flooring is available in a variety of Australian species including; Forest Spotted gum (pictured), Elegant Spotted Gum, Prime Blackbutt and 4 Oaks: Athens, Dalton, Savannah and Norfolk. 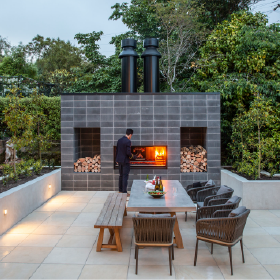 Transform your alfresco into a beautifully functional outdoor entertaining area with a Flexi outdoor kitchen that is purpose built to meet Australian standards and designed to withstand Perth’s climate. 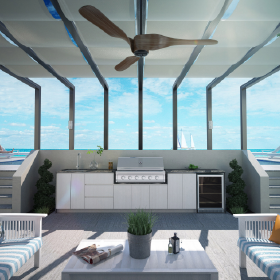 With compact laminate doors, PVC foam-filled weather resistant carcass and a range of optional appliances and accessories. 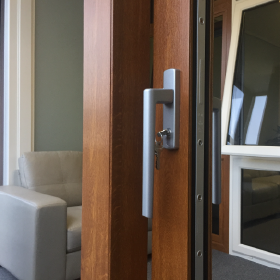 The Lift and Slide utilises a distinctive handle that lifts the sliding panel onto its wheels to operate the door. The sliding panel can be locked into position along its track making it perfect to vent overnight for some fresh air without compromising the security of your home. 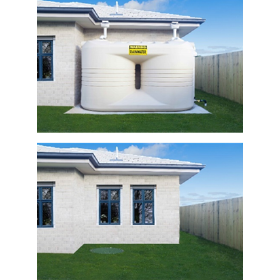 The GRAF Li-Lo rainwater tank was specially developed for rainwater harvesting and comes in sizes between 1500 and 5000 litres. The tank is a space-saving underground design compared to standard above ground tanks. It is easy to transport and installation is quick and low cost. HIZERO is a bionic mop that cleans wet and dry mess on all hard floors. It sweeps, mops, dries and self-cleans all in one pass. 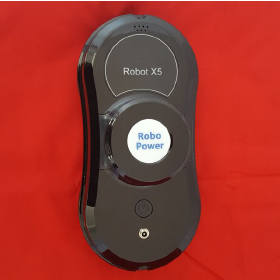 Clean 100sq metres in 10 mins, 60-minute battery run time. 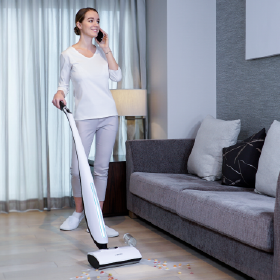 It’s not a vacuum, it’s not a steam mop, it’s a Hizero. The ‘WW1’ is a robotic window cleaner with two-way control. It works on all smooth surfaces, framed and frameless windows with a 99% window coverage. Power-off protection, won’t fall down even after finished cleaning. comfortably brings natural light deeper into buildings. 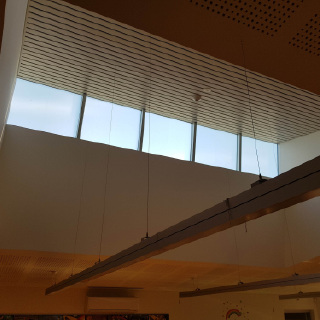 It is a translucent, diffuser film, which is applied to windows to reduce glare and increase the amount of natural light your room receives, reducing the need to have lights on during the day. 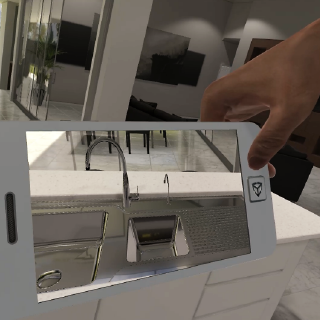 Absolute VR have created Australia’s first high quality, ‘true VR’, Virtual Display Village, allowing buyers to book an appointment to view homes from the best builders in Perth in the comfort of their own home. Buyers can also customise the homes to showcase or buy products from participating high value retailers.